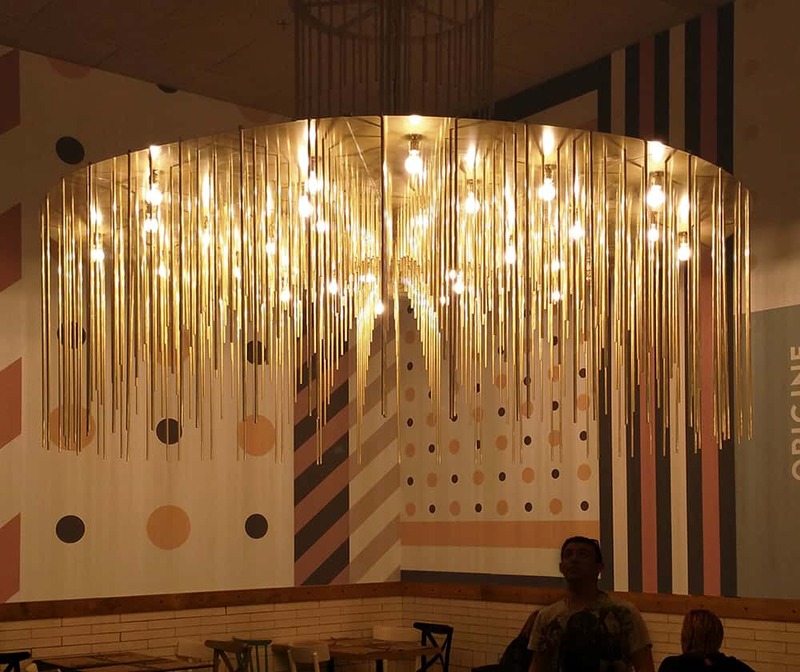 Dajor is a company dedicated to the manufacture of lighting, decoration and interior design for hotels, restaurants, businesses, and public spaces. We offer a comprehensive service. Together with the clients, we study the project as a whole and on a case-by-case basis in order to find the optimum solution that best adapts the installation’s needs and budget. Therefore, at Dajor we help you from the very beginning: we assist you during the lamp’s conceptualization, helping you choose both the most important technical aspects such as the luminous flux, the light’s temperature, and other much more concrete design aspects such as materials, fabrics, colours… This way, we achieve that each lamp integrates architecturally and provides the desired lighting. 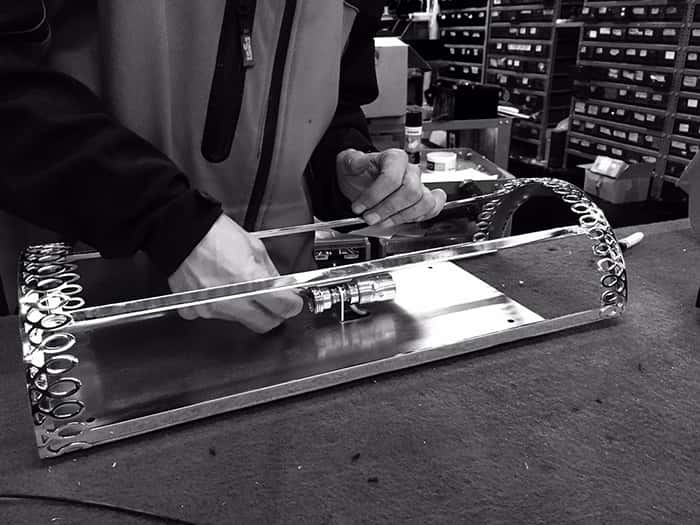 Once the design and the technical characteristics are defined, we start to comprehensively manufacture it, always guaranteeing a timely delivery of the project. 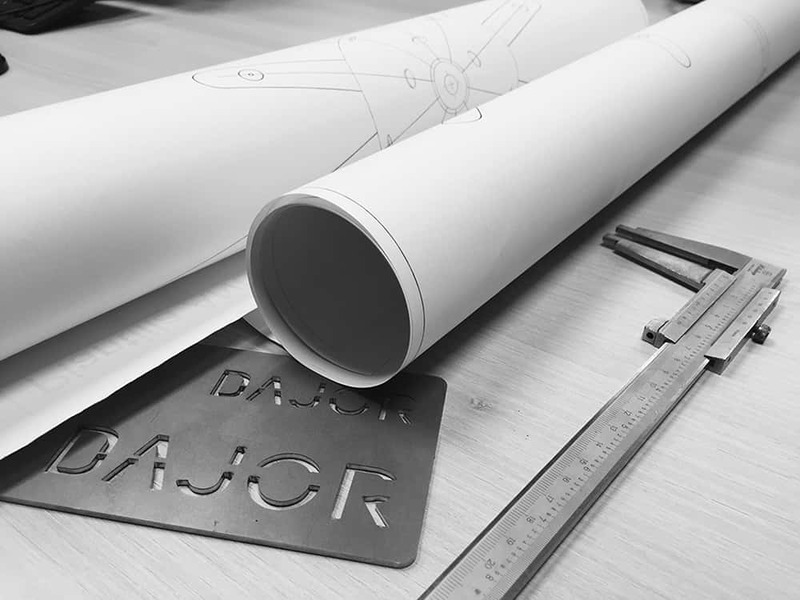 At DAJOR we manufacture lamps and develop lighting projects through a comprehensive process that allows us to monitor all the process stages in order to guarantee the maximum quality and efficiency. Thanks to having our own state-of-the-art manufacturing plant, a Technical Office and a highly experienced team of craftsmen, we are able to implement any kind of project in a short period of time. With the integration of the whole process in a single manufacturing plant and using just one set of people, we achieve the maximum optimization of the production stage, offering an agile and fast service to our clients. At Dajor we specialize in the manufacturing of large format lamps for both interior and exterior decorative lighting. Special lamps up to a diameter of 6 meters intended to establish the difference and create unique, exclusive, and shocking spaces. 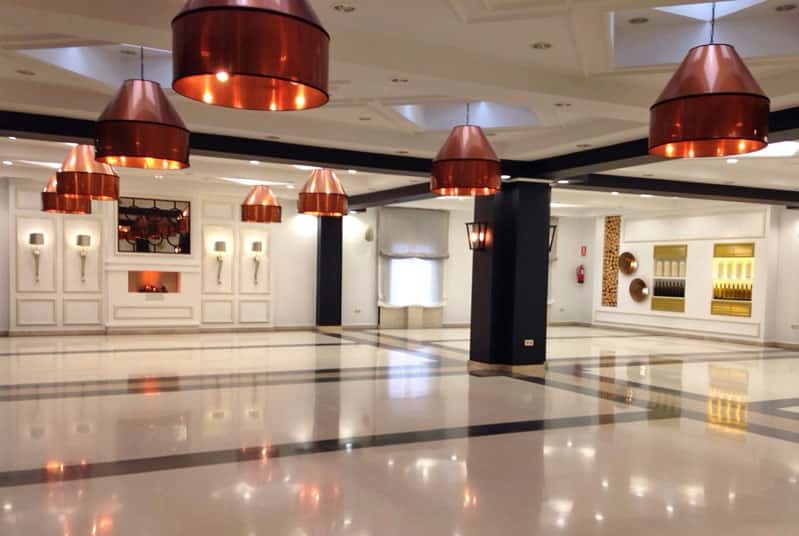 The large number of projects vouch for us as a quality lamp manufacturer for this kind of special projects. Check out our projects gallery. 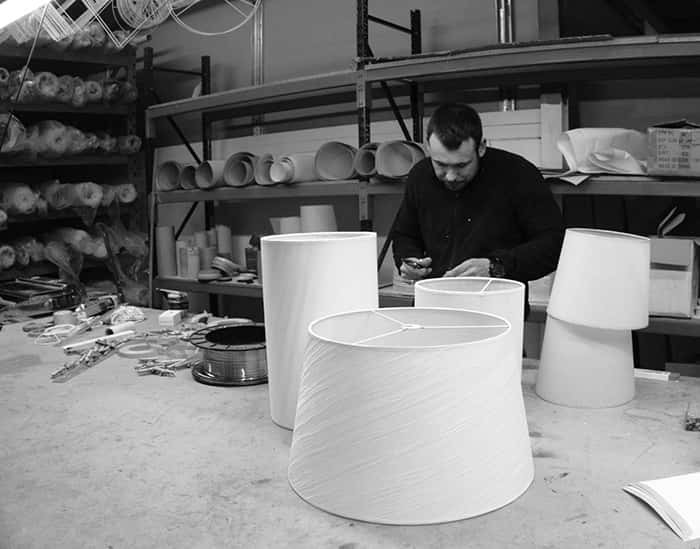 At Dajor we are experts in the manufacture of custom fabric lampshades that are noted for its meticulous production and the election of the best materials in order to offer the best quality standard. We provide you with a wide range of metal frames and an extensive fabrics catalogue: straight fabrics, printed fabrics, modern or classic designs, nautical-inspired designs, rustic or acrylic fabrics… This way, the client can choose the colour and texture of the lamp in order it perfectly fits with the decoration of the room. Furthermore, we offer you the possibility to restore or fix your old lampshade. Check out our fabric and finishes section in order to see the complete portfolio. At Dajor, we offer a very broad range of fabrics and finishes. Concretely, more than 15 types of finishes and over 75 colours of fabrics, from the most conventional to the most innovative. 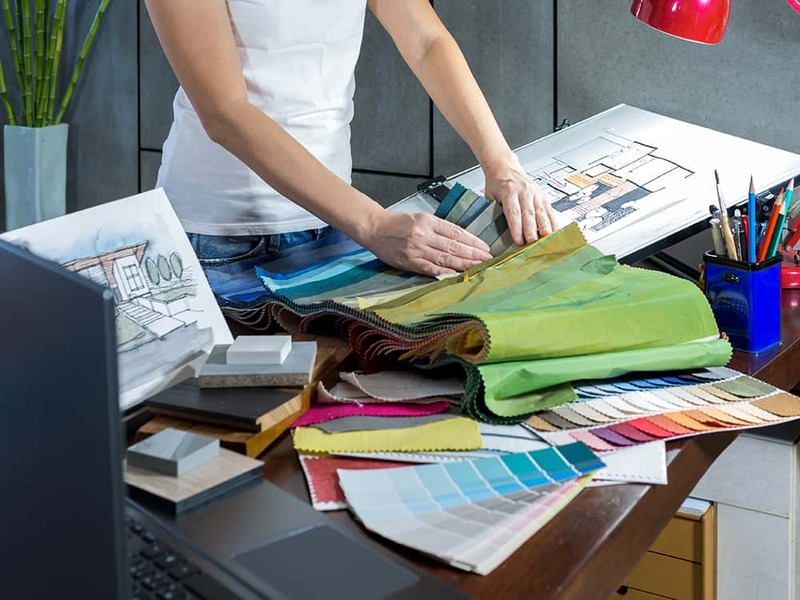 Thanks to this wide choice, we can offer lamps and lampshades that set an accent to each business and perfectly match the rest of the decoration. Ask for our catalogue of materials, fabrics and finishes. See fabrics and finishes catalogue. Dajor’s Technical office is in charge of all the lighting projects, both of the most technical aspects and the aesthetical ones. The office is made up of lighting specialists engineers that share their knowledge with the clients to create unique lamps. Furthermore, the Technical Office also guarantees and supervises all the manufacturing and packaging processes. Our activity is in constant evolution, and that is why our Technical Office is also in charge of the R&D division. We are continuously researching to create innovative products with alternative materials that provide a greater energy efficiency, more cost-effective results, and new functionalities. Do you have any doubt? Do you want to create a special lamp? Contact Dajor, our Technical Office will help you to create a unique solution that will make your place exclusive and differentiating! 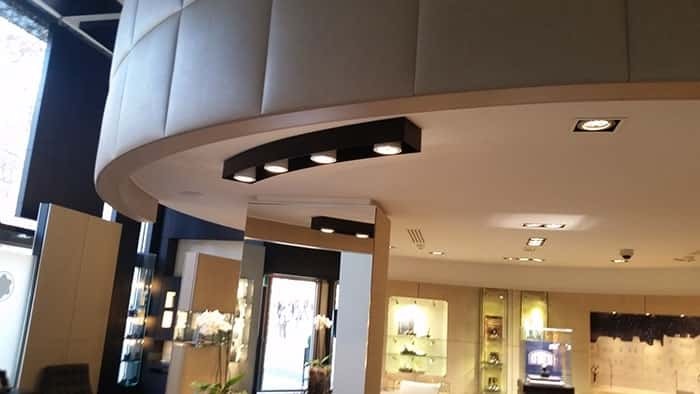 If you are a professional architect, designer or decorator, and you are seeking for an industrial and professional partner that can take care of the lighting system in your projects, you are pointing the right place. We will work together, side by side, in every project in order to achieve unique results. From the conception, throughout the technical requirements and the materials and colours, to the comprehensive manufacture. We adapt and cooperate in all the phases you require. At Dajor we have a background in the completion of all kind of projects, ranging from very specific projects to more challenging and complex ones. Do you want to give a renovated air to your hotel or restaurant to stand out from your competitors? Request a sales visit from a Dajor’s commercial technician. We will study your case and provide you a free quotation according to your needs and requirements. 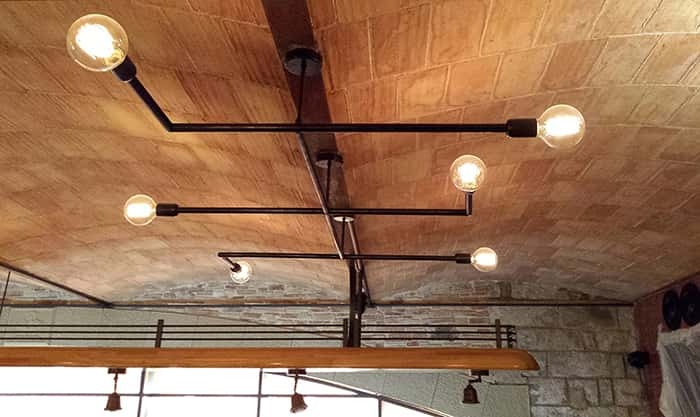 We also specialize in lighting projects for all kind of shops, business, offices, and public areas. An appropriate lighting will provide to your business a very special and unique atmosphere where your clients can feel comfortable. We will create a comprehensive lighting project and manufacture the necessary lamps that will give a special touch to your business. Do you want your business to be unique and different from your competitors? Request a sales visit from a Dajor’s commercial technician. We will study your case and provide you a free quotation according to your needs and requirements.